Can you all believe how fast this year has gone by? It is November already! Wow! 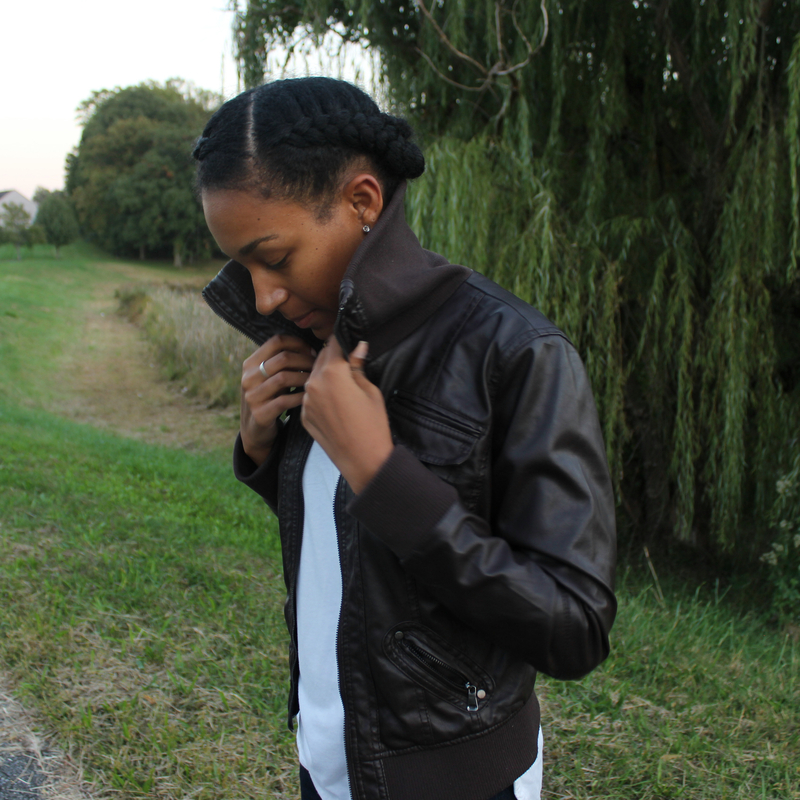 Well today I am talking to you about this cute faux leather bomber jacket. Can I just say this is the perfect jacket for a day like today. There was a chill in the air, but not to cold. I chose to pair it with a white t-shirt and a pair of tan loafers. I love simplistic outfits like this. In my opinion outfits like this are so chic and easy to wear. Perfect for a day out shopping, pumpkin picking (do you pick pumpkins?) or just hanging out with friends. By the way these shoes are the most comfortable EVER! I am so excited that the weather has started to get warmer! Honestly, I live for the spring and summer. Something about this time of year puts me in such a great mood! It makes me want to get outside and do something FUN! I hear the weather will be nice this weekend. Let me know what plans you may have, I love to hear how people are spending their warm weekends.